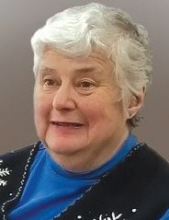 Catherine C. Gundrum (nee Wagner) age 70 of the Town of Addison (Hartford), Wisconsin entered eternal life, unexpectedly Thursday, January 31, 2019 surrounded by her loving family. Cathy was born May 6, 1948 in Hartford to Justina (nee Felton) and Francis Wagner. She attended St. Peter’s Catholic school through 8th grade and graduated from Slinger High School, class of 1966. She was united in marriage to Ronald H. Gundrum on August 21, 1971 at St. Peter’s Catholic Church in Slinger. Cathy is survived by her beloved husband of 47 years, Ron; loving sons, Richard and Timothy (Candice) Gundrum; loving daughters, Susan Wolf, Carol (Josh) Hawig, Linda (Charles) Edwards, and Pamela Gundrum; cherished grandchildren, Emily, Teresa, Adam Wolf, Declan Gundrum, Sebastian and Brexton Hawig, Aubrey and Cadence Edwards, and step-grandson, Zachary Slater; dear siblings, Barbara (Dave Becker) Wagner, Mary Olson, Joseph (Patricia)Wagner, Peter (Annette) Wagner , Justina Wagner, Christine (Michael) Blank, Anthony (Rose) Wagner, and Ann (William) Reese; dear sisters-in-law, Jacky Wagner, Barbara Breuer, Diane (John) Breuer; and dear brothers-in-law, Ralph (Christine) Gundrum and Kenneth Gundrum. She is further survived by many loved nieces, nephews, other relatives and friends, including her life-long friend, Joyce Krantz. She is preceded in death by her parents, Francis and Justina; parents-in-law, Harold and Dolores Gundrum; brother, Paul Wagner; brother-in-law, Roger Gundrum, son-in-law, Paul C. Wolf; and nephew, Christopher Olson. Family will greet relatives and friends on Tuesday, February 5, 2019 from 4:00-6:30p.m. at the Shimon Funeral Home (824 Union Street Hartford, WI 53027) Visitation will conclude with family remembrances, 6:30-7:00p.m. A Mass of Christian Burial for Catherine will be celebrated Wednesday, February 6, 2019 at 10:30a.m. at St. Lawrence Catholic Church 4886 WI-175, Hartford, WI 53027) with the Very Rev. Rick Stoffel officiating. *Additional visitation will be held prior to Mass from 9:15 a.m.-10:15a.m. at the church on Wednesday. In lieu of flowers, memorial contributions in memory of Catherine to: Honours Inc. (209 Polk Street Slinger, WI 53086) or to the American Heart Association (7272 Greenville Ave. Dallas, TX 75321) are greatly appreciated. To send flowers or a remembrance gift to the family of Catherine C. Gundrum, please visit our Tribute Store. "Email Address" would like to share the life celebration of Catherine C. Gundrum. Click on the "link" to go to share a favorite memory or leave a condolence message for the family.